Reflexology in Derby and Burton on Trent. I hold an International Institute of Reflexology® (IIR) Diploma, the only organisation in the UK to teach the Original Ingham Method of Reflexology® and is the only internationally recognised course. I am also a member of the AoR (Association of Reflexologists, Membership No. 19277). I have completed additional training in Maternity Reflexology and I have the competence and confidence to work with maternity clients. 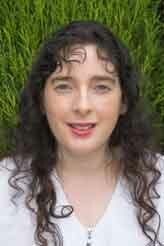 Also trained in Reflexology Lymph Drainage (RLD) by Sally Kay, who developed RLD in cancer care. Trained in Facial Reflexology at the London School of Reflexology. I have also undertaken training with some of the world's leading Reflexologists, Hanne Marquardt, Spiros Dimitrakoulas, Tony Porter and Lynne Booth. I have been trained to a standard of competence and confidence that enables me to work upon members of the public safely, ethically and professionally to the benefit of the patient's quality of life, general health and well-being. I am committed to continuous professional development and work to a strict code of ethics. I offer a mobile reflexology service in the Derby area (foot reflexology only) including Findern, Willington, Repton, Milton, Hilton, Littleover, Mickleover, Allestree, Alvaston and Oakwood, also Burton upon Trent. Many people find that having a Reflexology treatment at home is more convenient as it means they don’t have a drive home from a therapy clinic, they can just stay relaxed in their own familiar environment. I bring along my specialist reclining chair and stool to carry out the therapy, only shoes and socks are removed for foot reflexology. To email me: CLICK HERE. Please be aware that if you send me any sensitive medical/health information, I will only hold and use this if we proceed to treatment, at which time I will require explicit consent from you to hold this data. If we do not proceed to treatment within one month, I will erase this information. Reflexology is not a substitute for medical treatment or advice. Reflexologists do not claim to cure, diagnose or prescribe.